You find yourself in the ancient Piazza Roma, built between 1928 and 1930 in the area that had been occupied since 1627 by the Jewish Ghetto which was once in the area between the Dominican Convent and San Bortolo Gate. 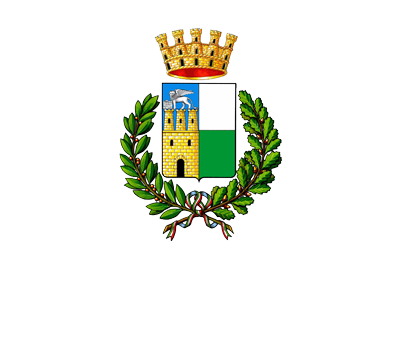 In 1968 It was named after the member of Parliament from Rovigo Umberto Merlin. 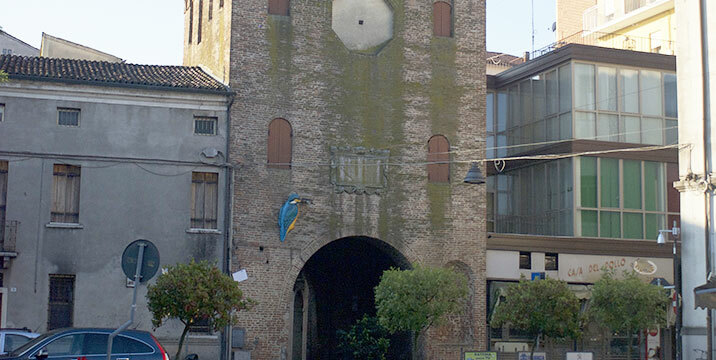 The entrance portal, as well as the commemorative plaque celebrating the erection of the Ghetto, once on Via X Luglio, were moved to the south entrance of the general market square. The area is an inviting open air sitting room where one can enjoy a relaxing break in the park built around the fountain. In 1627 the Venetians imposed rules that the Jews in the city live in a delimited, closed in area, with its own synagogue so as not to contaminate the religion of the Christians. Thus, the wide area between the Dominican monastery and San Bortolo Gate became home to many Jewish families, who continued to work in their shops outside the ghetto during the day, mostly along the nearby Via Cavour below the so-called portico of the Jews, and in the evening returned to their homes within the gates guarded by watchmen. Only with the arrival of the French, in 1797, did the Jewish segregation in Rovigo end and plaque placed above the main entrance in Via X Luglio was symbolically broken by chisel. 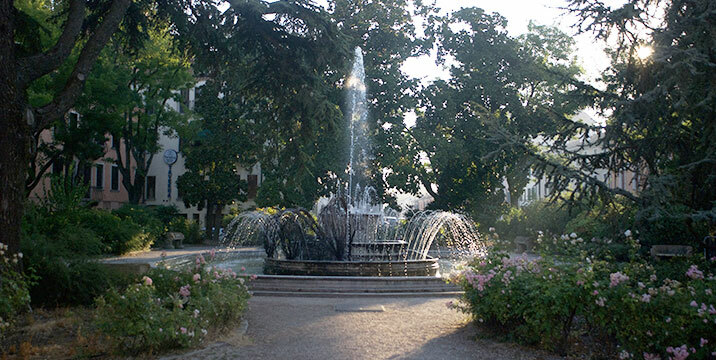 Between 1926 and 1930, much of the ghetto, long abandoned by Jewish families and heavily degraded and dilapidated, was demolished and Piazza Roma was created in its place, then renamed Piazza Merlin in honour of the Senator from Rovigo. The only remaining trace of the ghetto is in the old headstone now placed above the entrance of Annonaria Square on the side facing Porta San Bortolo. With that of St. Agostino, San Bortolo Gate, is the other and better preserved evidence of the ancient roads which led into the city. Marin Sanudo recalls that in 1483 the gate was being restored after being damaged during the Salt war. 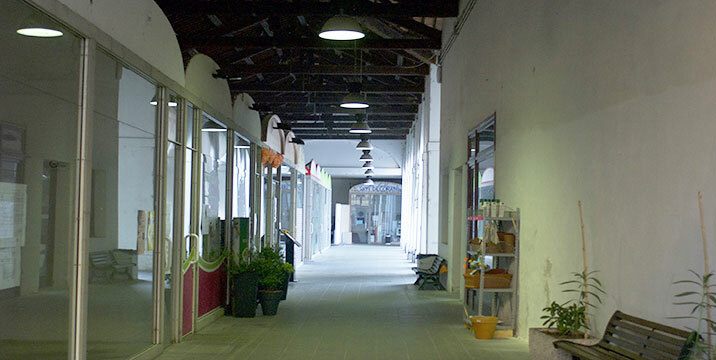 The door opens onto the present day Piazza Merlin connecting the city centre with the neighbourhood of St. Bortolo, from which it derives its name. The property was originally topped by battlements, subsequently raised in 1639, traces of which remain visible. In that year the Podestà Vittorio Correr had a watch with two dials placed on the tower one facing inside and the other outside of the city. Under the portico some marble reliefs reproduce the coats of arms of the Doge Giovanni Mocenigo and Giosafat Barbaro, captain and administrator of Polesine. In the XIX century, the gate was to be demolished to widen the road and only the intervention of the owners of Palazzo Veronese, which had an outer wall next to the entrance, avoided the loss of one the city’s historical artifacts.